Another Gemma posting today from the wonderful Little Gem's Diary. It must have something to do with the name as all us Gemma's seem to have quite a bit in common, scary huh. Anyway please check out Gemma's blog here. I shall leave you now in her very capable hands. Hello everyone, Gemma from Little Gem's Diary here! Firstly, a big thank you to Gem for asking me to be a Blogger Guest Poster! 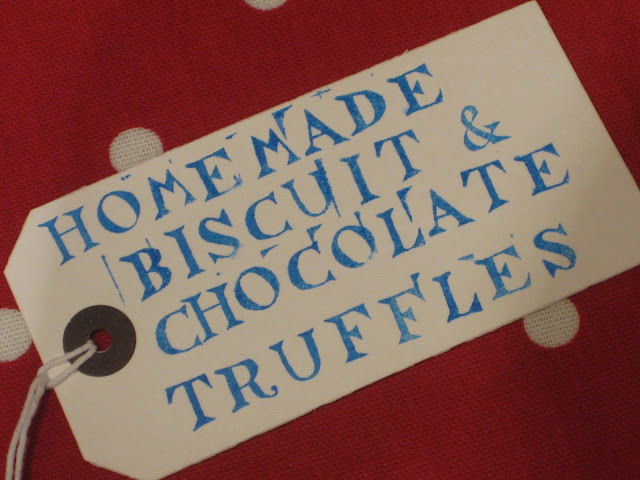 For my post I thought I would share a little easy recipe for Homemade Biscuit and Chocolate Truffles. 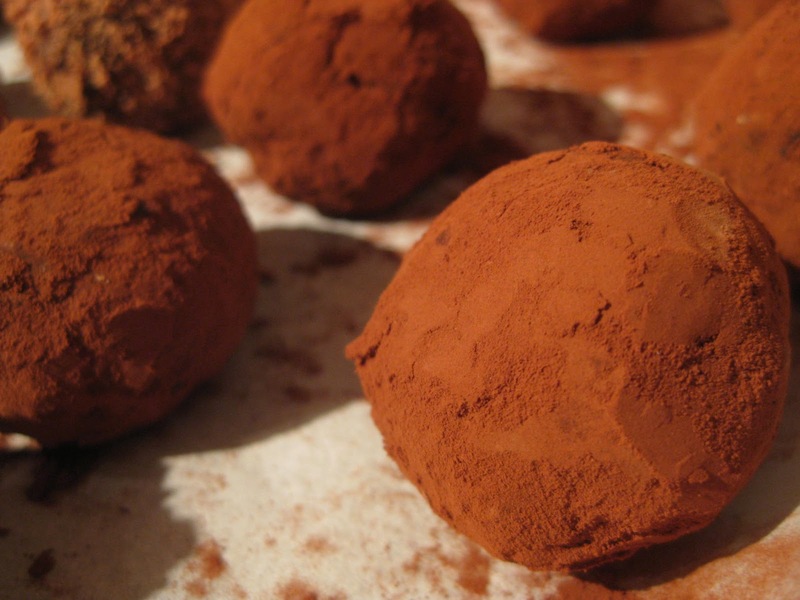 These are really quick and easy to make as they are not your traditional style truffle, they are a cheats truffle! Bash your digestives up either in a plastic bag with a rolling pin or in a food processor til you have mostly crumbs and a few small chunks. Put the butter and condensed milk in a pan over a low heat until the butter melts. Allow to cool slightly. Add the biscuit, coconut and cocoa powder to the cooled mixture and stir well to combine all of the ingredients. Line a baking tray with greaseproof paper. Form the mixture into small truffle sized balls using your hands - this is messy, but good fun! Place the truffles onto the greaseproof and begin to roll them in the coatings you have chosen. Cocoa powder was the easiest to work with, but the chocolate strands do look very pretty too. The best way to roll them is to cover a clean plate in your chosen coating and roll the truffles one by one, then return to the baking tray. Chill the truffles in the fridge until ready to serve. 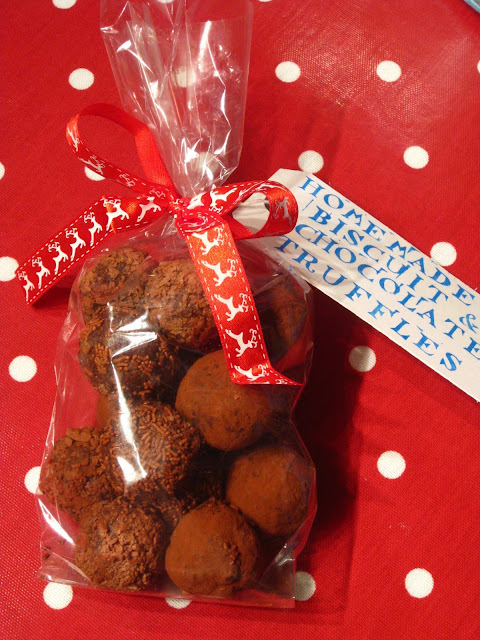 These truffles make really lovely gifts too, and can be packaged up in lots of different ways. One idea is to wrap them up in a clear celophane bag and tie with a handmade label and pretty ribbon. 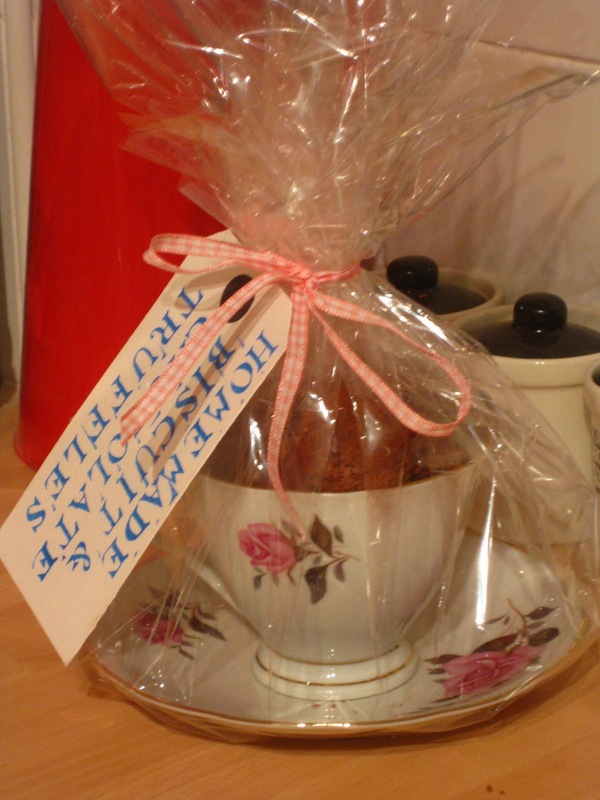 Or for a more feminine gift why not use a vintage teacup, fill it with truffles and wrap in celophane, again with a handmade label. The truffles keep reasonably well and have also frozen well, they are best served slightly chilled so they are not too messy to eat! 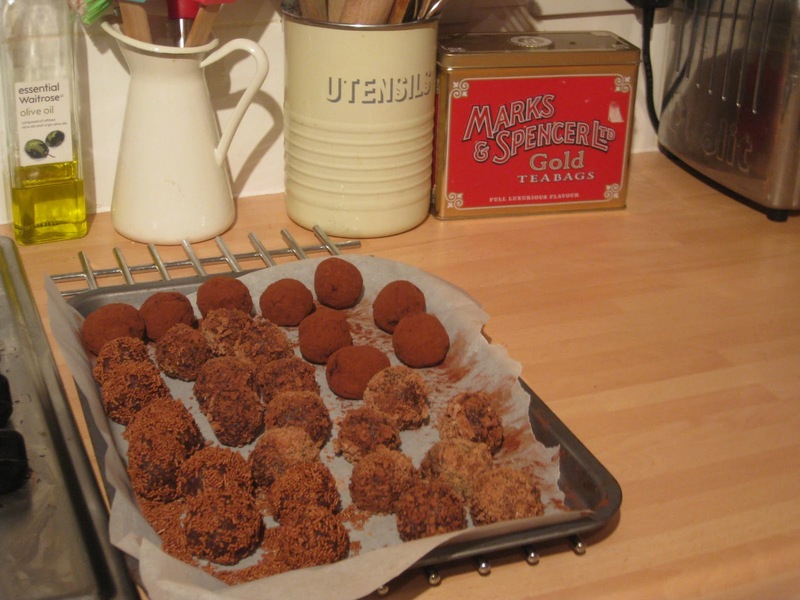 Hope you enjoyed the recipe and have a go at the truffles! I don't think there is really much more that I can say to that apart from yum yum, they look delish. Thanks Gemma.